When we remember the Third Part of the Smalcald Articles is the portion in which the Gospel is discussed among “learned and reasonable people” (SA III.I), the section on Baptism is so brief that it is a sure testament to the simplicity of God’s grace! The God who is beyond comprehension, whose depth of wisdom we cannot search, and whose paths are beyond tracing out nevertheless bestows upon us the benefits of Christ crucified through means so simple they can be summarized in a sentence or two: “Baptism is nothing other than God’s Word in the water, commanded by His institution” (1). Typically, these blog posts on the Smalcald Articles have been laid out as a series of questions to answer as a form of self-study. But, for this topic, there is really only one question to be considered: What is the importance of this sentence: “Baptism is nothing other than God’s Word in the water, commanded by His institution”? 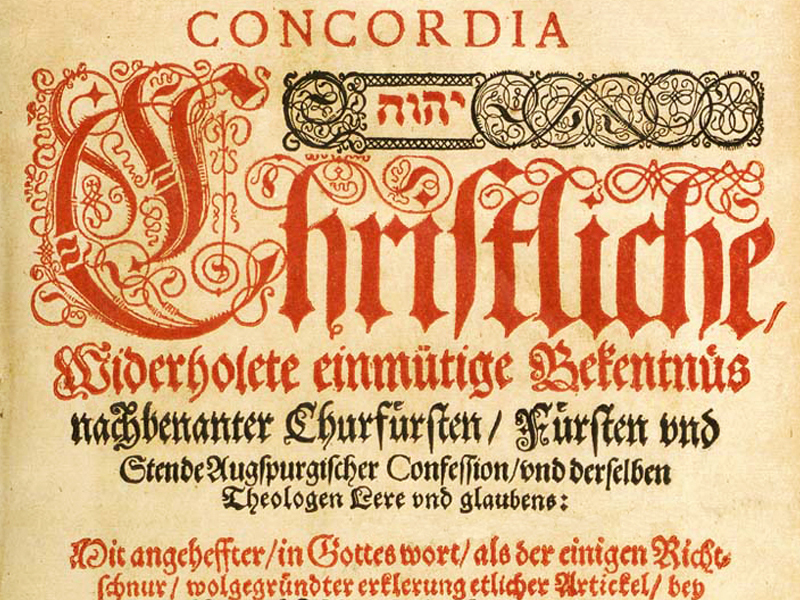 Note where Luther puts his emphasis: on the central character of the Word. This is no small point, for all of Christ’s promises rest not with the earthly element’s character, but with the Word’s authority. If God joins the Word to the earthly element, then that earthly element shares in the giving of the benefit; but without the Word, “the water is just plain water and no baptism” (SC IV). 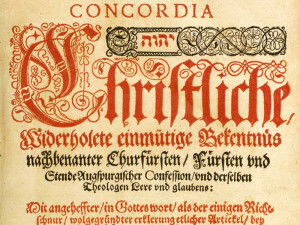 So, for Luther, the emphasis lies on the authority of the Word: “As Paul says, it is a ‘washing… with the word’” (SA III.V.1, emphasis added). 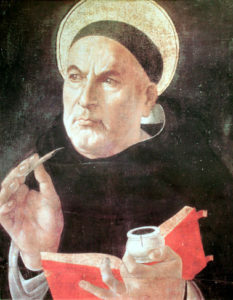 Luther continues, “As Augustine says, ‘When the Word is joined to the element or natural substance, it becomes a Sacrament’” (emphasis added). Why so much focus on the Word? 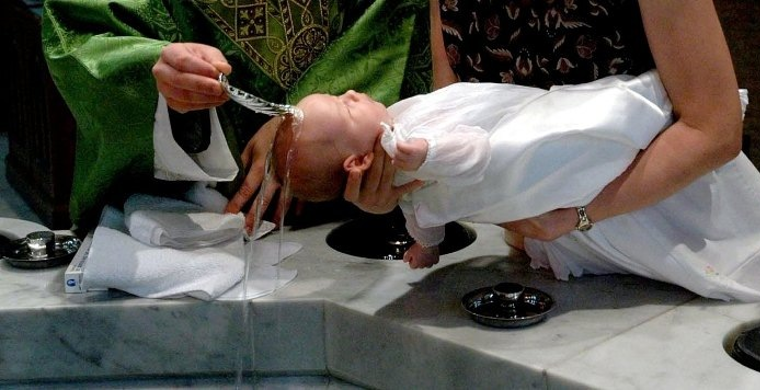 Why not let Baptism be the focus on God’s use of water? The answer lies in that the Word and Sacraments are not two competing realities, but God promising to use His Word in various means/instruments. The Word proclaimed, the Word with water, the Word with bread and wine, they all work because the authority lies with God’s Word, as He has “commanded by His institution” (1). That phrase is important because it defends the Word and Sacraments from all who would say that they have Christian freedom to use the Word in other ways. 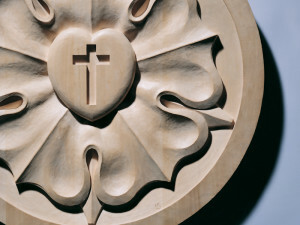 No—those other ways are not “commanded by His institution.” But, with His institution, the Word works where and when it pleases him, so that the water truly is a regenerative water, and the bread and wine truly are the body and blood of Christ. Against this simple beauty of the Gospel, Luther points out, the learned Aquinas rejects the Word and ascribes to the water a “spiritual power.” Wrong! 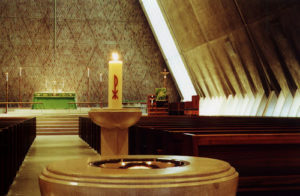 God loves to employ His Word, and promises that it works when joined to the element, “commanded by His institution.” Again, Scotus and the barefooted monks (Franciscans) remove the certainty of Baptism when they take their eyes off the Word and place their hopes on “the divine will.” But, how are we to know the will of God? Certainly not apart from His Word, but through His Word, as “commanded by His institution”! So, it’s not just a love of the Bible Luther has in mind when he writes in his famous hymn, “The Word they still shall let remain, nor any thanks have for it.” This is also true in so many views regarding the Sacraments. For us is the joy that “He’s by our side upon the plain with His good gifts and Spirit.” And because “they” (in the hymn) remove themselves from the certainty of God’s Word, they pontificate about the uncertainty of God’s will and spiritual power apart from the Word. The Rev. Mark C. Bestul is pastor of Calvary Lutheran Church in Elgin, Ill.